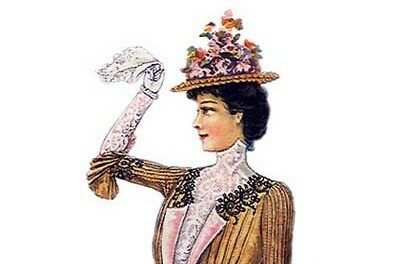 A delightful Edwardian hat is perfect for a summer outing. 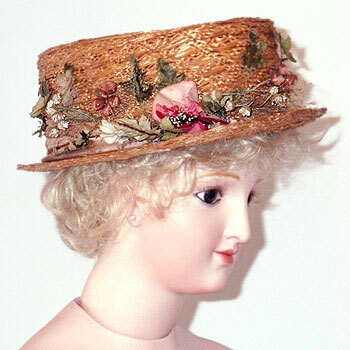 The straw hat features a high crown and a charming arrangement of pink and white flowers. A leading designer in early 20th century fashion, theater and interior décor.